One You Merton is supporting Bike Week 2017, which runs from Saturday 10th June to Sunday 18th June. 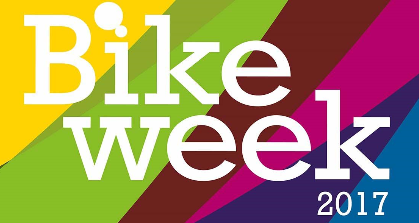 Bike Week is an opportunity to promote cycling and encourage people to see how everyone can incorporate cycling into their daily life. Cycling has social, health and environmental benefits and can be a way of getting to work or college or can just be done for enjoyment. Not only is cycling free, but it’s also fun and a great way to exercise. Cycling is a low-impact exercise, but it still helps you get fit and is easier on your joints than other sports such as running. When you cycle you can also decide how fast you want to go and which route to cycle. Another fantastic benefit to cycling is that it can contribute towards your recommended 150 minutes of weekly exercise. You can incorporate cycling into your 150 minutes by riding as part of your daily commute, popping down to the shops and riding at the weekend for pleasure. Cycling is a simple activity, and is suitable for people of all ages even children, and once they have learnt how to ride a bike it can be a very useful skill later in life. Cycling is a popular outdoor family activity and great for summer to get kids and the whole family moving more. You can cycle for pure exercise or you can take the opportunity to be social, or cycle to get around faster. It really fits everyone, and it is fun! Before hopping on that bike and going for a ride, it’s important to have a decent helmet that fits well. It’s worth investing in a good quality helmet which could save your life and if looked after properly will last for many years. If you are using your bike after not having used it for a long time it’s worth giving it the once over before you set off by making sure the seat is at the right height and checking your tires and brakes. You must also make yourself as visible as possible and if you are cycling at night you need to have front and rear reflectors and invest in some lights to make sure you are always seen by drivers. For more information visit the NHS Choices ‘Benefits of Cycling’ page here. Earn Betterpoints as you cycle! You can earn Betterpoints while you cycle around the borough, which can then be used to get high street vouchers or to donate to charity! The Betterpoints app is available to download for free from the App Store and on Google Play – see here. If you don’t want to cycle to and from work or college, you can always link up with friends or family and make a day out of cycling as there are lots of parks to explore in the local area. For more information about Bike Week please see here.